OTTAWA -- Officials behind the country's system to alert mobile devices about impending natural disasters say there are still several kinks in the system to iron out, even as the alerts are being credited with saving lives just last week. Mobile alerts went out across the National Capital Region on Friday as a storm slammed into the region and unleashed what Environment Canada now says were six tornadoes -- three each in Ottawa and Gatineau, Que. The system uses what is called "cell-broadcast technology," which sends a message to all wireless devices within a certain geographic area with local cell towers, rather than sending messages to individual phones. "The problem that we face is because the system is so complicated and there's technological change, there are new handsets that enter the market constantly, we see that new problems can crop up," he said. "Even on a system that's been working perfectly." 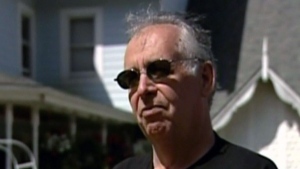 It's believed such a problem was behind a three-hour delay in the issuing of an Amber Alert in Saskatchewan last week, while Shortliffe said he has heard from some residents in the National Capital Region who never received a tornado alert on Friday. In the meantime, officials plan to continue conducting tests to ensure any problems that crop up are identified and addressed as quickly as possible -- and before a life-threatening emergency hits, not when it is already bearing down on people. "The good thing is we're all concentrating on the same outcome, which is find out where the problem is and fix it to make sure it's not repeated next time," Shortliffe said. Pelmorex owns The Weather Network. While most of those problems have since been fixed, Shortliffe said one major concern is the entire system hasn't been tested in Quebec. A new round of national tests hasn't been scheduled. 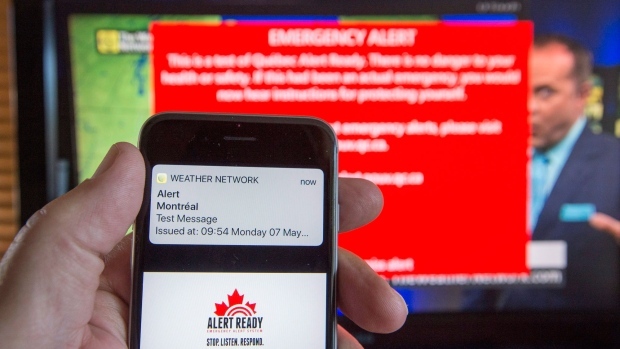 In the meantime, Shortliffe said people can check to see whether their phones are compatible with the alert system by going to AlertReady.ca. Anyone who didn't receive a warning even though their phone is compatible should contact their wireless provider.